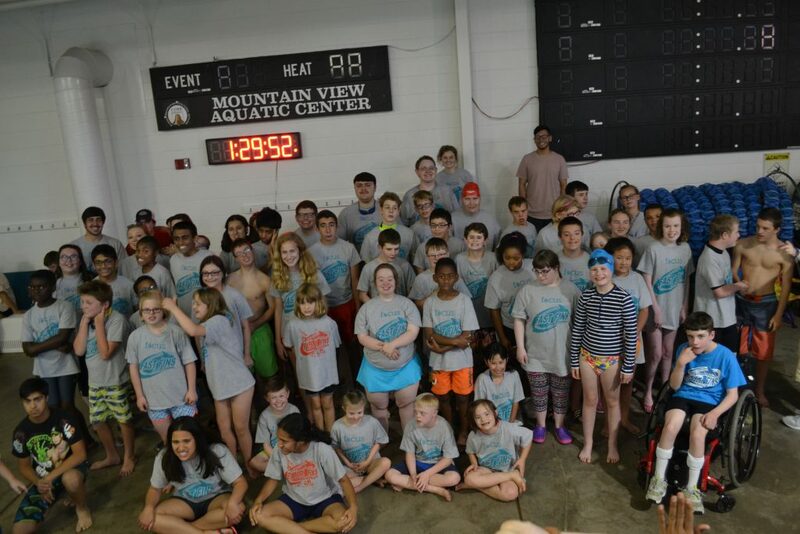 FAST Fins Adapted Swim Team concentrates on perfecting swim strokes, improving stamina, developing team skills, building self-confidence, following verbal commands, and increasing fitness. FAST Fins does not offer swim lessons – participants must be able to swim and be safe in the water without flotation. All swimmers will be evaluated each season for their ability to take instruction in a group, to function with a 1 coach:4 swimmers ratio, and to NOT require 1:1 assistance for behavior or cooperation. Registration has closed for the spring 2019 season – please email [email protected] with any questions. Please contact [email protected] with any questions regarding FAST Fins!